Tallinn is one of the cities that have become incredibly popular and it seems it is no longer a hidden gem. 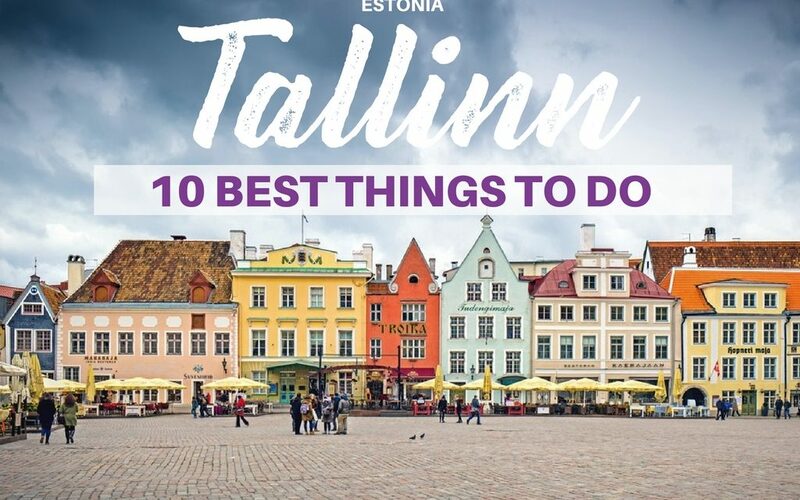 However, it is still not overrun by tourists like some other European cities and if you like to visit Tallinn, Estonia but are not sure what to do in Tallinn you are lucky as this post gives you tips on how to spend 2 days in Tallinn – the best things to do and see in Tallinn. Before talking about the best places to see in Tallinn in 2 days (or 1 day), here is some important travel information for Tallinn. When I got a good deal I finally booked my flight and stayed for 3 nights and here is why visiting charming Tallinn in Estonia is a good idea. First of all, after I had visited places like Hong Kong, Dubai, London, Paris, and Switzerland this year, it was one of the very few places that were more “affordable”. Compared to Germany (western Germany) the prices are okay and visiting was a treat for my wallet. Second, and probably even more important, Tallinn is cute and beautiful and one of the best places to visit in Eastern Europe. I stayed at the 4* Hotel Hotel L’Ermitage which is very close to the Old Town of Tallinn and a great place to stay, among others because of the proximity to the Old Town. In general, I recommend staying in the old town or near it. The harbor is great, too (especially if you plan a trip to Helsinki) but in general, I suggest the old town area. Click here to find out about prices for 4 and 5-star hotels in Tallinn. Find the best rates for 3-star and more budget-friendly hotels in Tallinn here. To check the best hotel deals for Tallinn check out this site here. I had the 72-hours Tallinn Card (comes also as a 24-hours or 48-hours card). It is a popular card, and you can use it for public transportation, hop on and hop off buses, many museums, and attractions. It turned out to be very handy, and I used it for public transport as well as for some Tallinn attractions. Though several attractions were closed already in September, and I could not do some Tallinn activities. 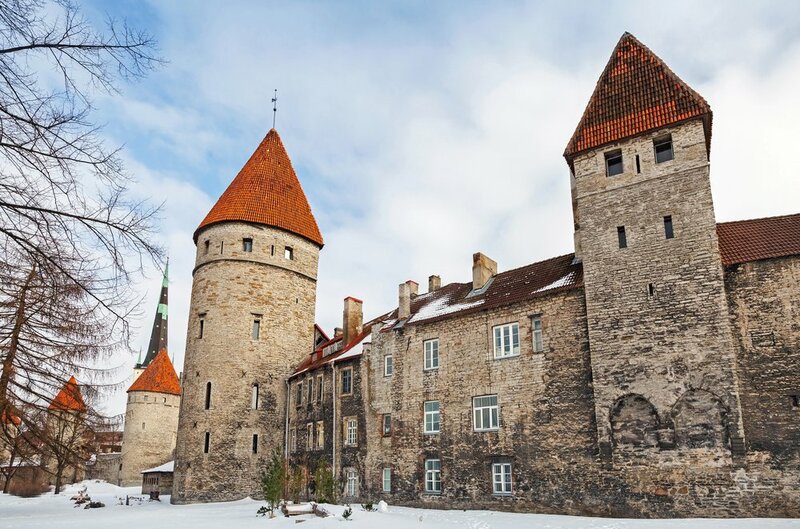 If you do not want to get a Tallinn Card you can also book the hop-on and hop-off tour separately (great to use when visiting some of the Tallinn tourists attractions on my list) – okay, now it is time to speak about Tallinn sightseeing. One of the first things on your Tallinn itinerary should be the old town. 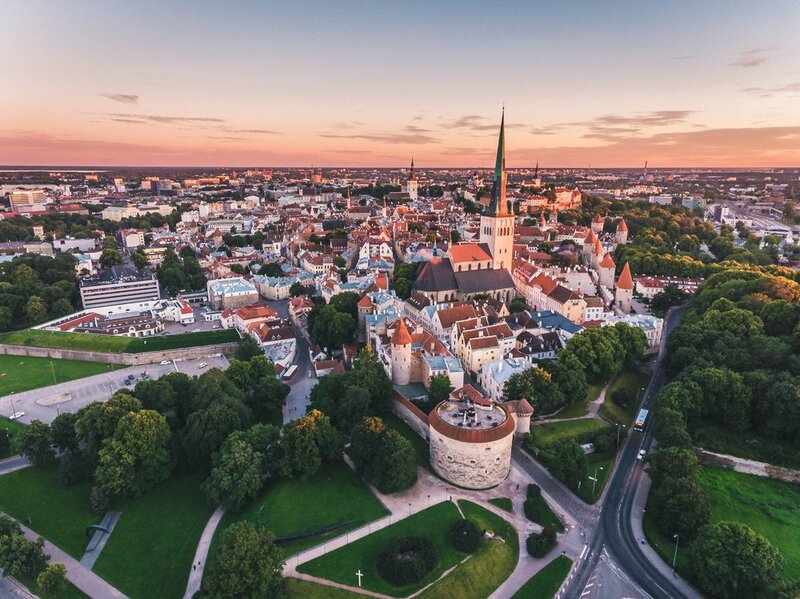 The first day you can head to the old town where you will find many beautiful sights in Tallinn – so no long ways, just get lost in the beautiful old town. 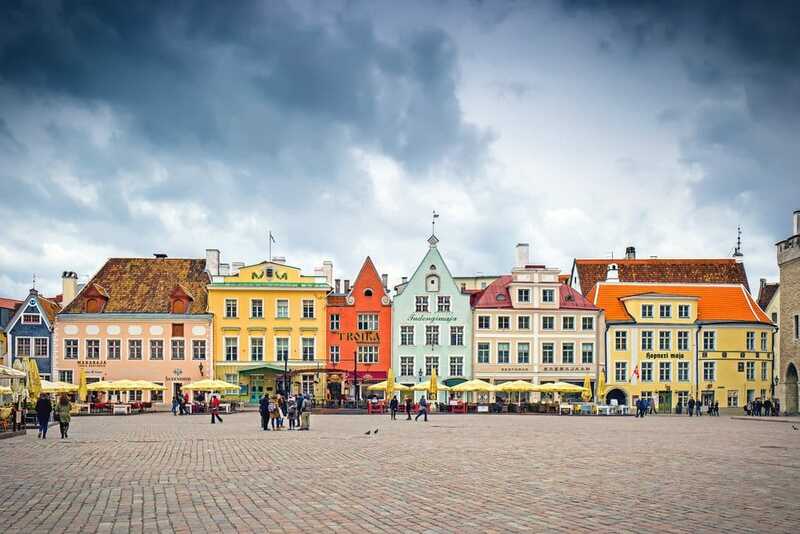 Tallinn might be most famous for its old town and it is indeed very charming, so make sure to add it to your Tallinn itinerary (even if you only have one day). I stayed at a hotel very close (hotel review here) and visiting the old town was one of the first things I did. Here are most of the tourist attractions in Tallinn and it is one of the best places to visit in Tallinn – it does not matter if you have one day in Tallinn or two days – here are Tallinn´s points of interest. I have to admit that I got lost (and I am normally am not so bad with maps). So, despite my map. I probably missed out on several places but I think I got very good impressions of the beauty of this city. 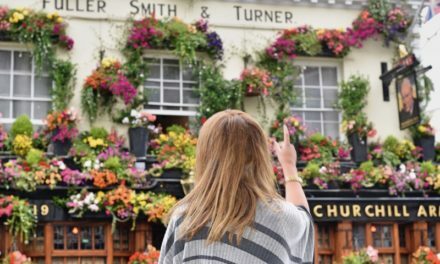 There are many cute small streets with little cafes, restaurants, and historic buildings, and so the old town will probably the first thing on your to-do list. If you visit some of Tallinn´s sights in the old town and just get lost in the streets, you can easily spend a full day in the old town and here are the 10 best things to see in Tallinn. One of my first stops was at Kohtuotsa which offers panoramic views of the Old Town. 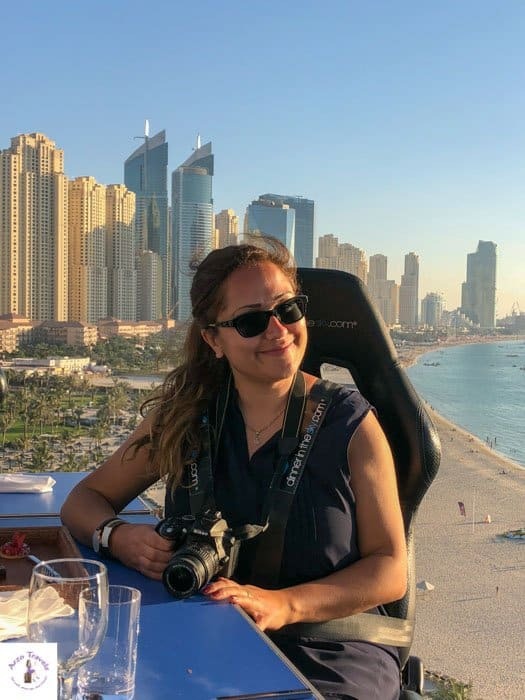 There are a couple of nice places with good views- so make sure to check out at least two or three of those viewpoints to get a good impression of the city. However, most stunning to me was probably the St. Alexander Nevsky Cathedral. The beauty was just overwhelming and it has become one of my favorite buildings I have seen on my travels that year. 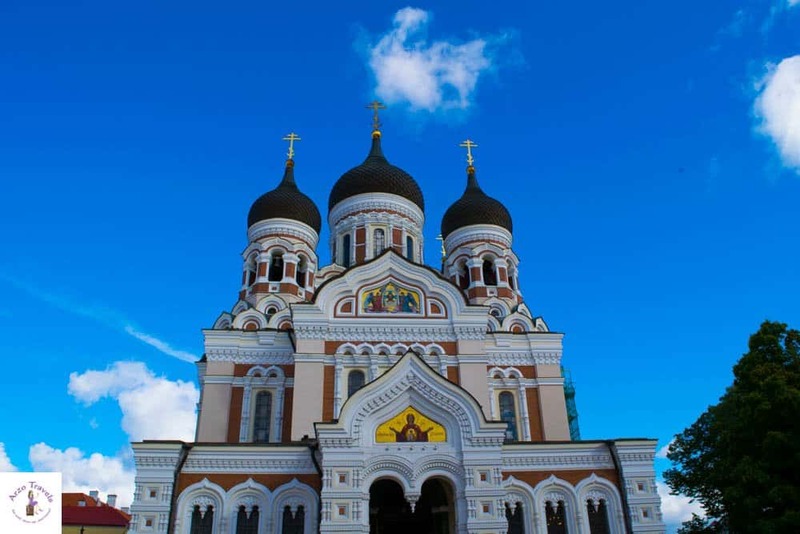 The Orthodox cathedral in Tallinn´s old town was built at the end of the 19.th century – when Tallinn was part of the Russian Empire. The Russian architecture is clearly visible and probably one of the most famous sights in Tallinn. I also enjoyed discovering the old Town Wall with my Tallinn Card – a wall that has been created in the 13.th century and is one of the best-preserved fortifications. Some parts are open to the public (check opening hours before visiting)and enjoy some walks which come with a view. Wondering about more places to see in Tallinn? Here are more places to visit in Tallinn, Estonia (and let’s start in the old town for a while). Unfortunately, the Town Hall was closed when I visited. However, the Tallinn Town Hall is the oldest town hall in the region (Baltic and Scandinavia) – this Gothic style hall is a popular tourist attraction in Tallinn and in summer (July and August) it is open to visitors to visit each room for an entry fee of about 5€. The historic square in front of it is very beautiful though and when I visited a Russian concert took place which was interesting and fun. The colorful buildings are pretty picturesque – as is the Old Town in general – probably one of the most Instagrammable place in Tallinn. As mentioned above, I got lost a bit and missed out on St. Olav’s Church and Tower, which used to be the tallest building in the world. The view from Tallinn’s iconic, Gothic church, is very well-known and I wish, I had not missed out from that view (especially because I have a thing with great views). The entrance to the church is free and with the Tallinn Card, you can also get to the tower for free. As many Tallinn attraction, the entrance fee isn’t high though (compared to western European standards) and while fees sometimes stop me to book certain activities in other parts of the world, you can enjoy the best things in Tallinn for free – or most often, for very little money. I also visited Vegan Restoran V for a late lunch and was surprised at how busy it was. Vegan food seems to be popular in Tallinn though meat and seafood are very typical. The food was not mind blowing – despite the very good reviews. But it was tasty and the restaurant was very charming and cute. So “Terviseks” to good food and drinks in Tallinn (which means “cheers” in Estonian: if you want to learn to say cheers in different languages read Laura´s post). 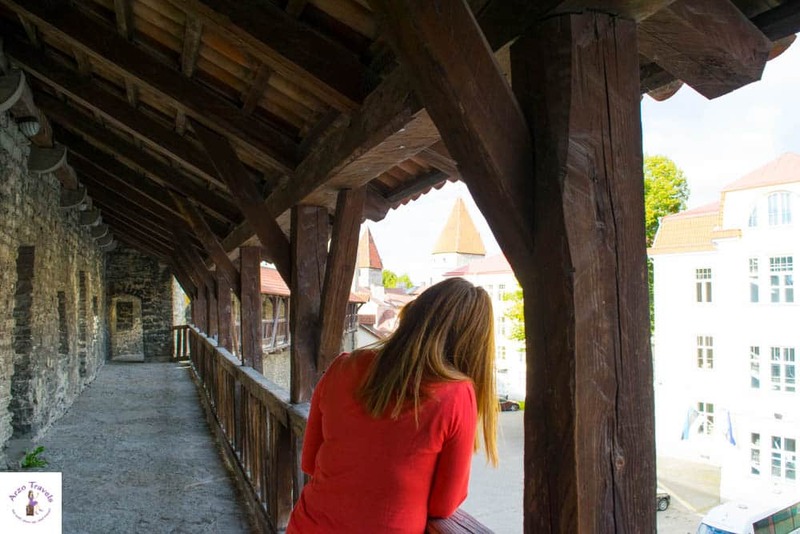 For an ideal 2-day Tallinn itinerary I would not plan in more activities – while you could do more in one day, above mentioned Tallinn activities should be enough for a nice and relaxed day. If you stay in Tallinn for longer than one day, you can add these places for your 2-day itinerary. 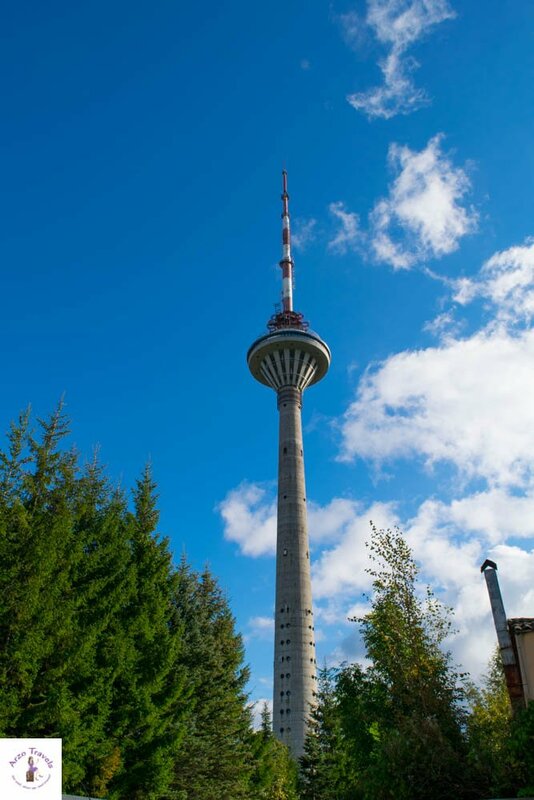 I also visited the Tallinn TV Tower in Pirita, which is situated a bit outside the city center. I got there by using the Tallinn Hop on and Hop off buses, a day ticket is included in the Tallinn Card. The sightseeing bus stops in front of the TV Tower and hence does not include much walking to get there. The view is great (about 314 meters) and there is a lot of information about the tower. I was lucky that is was quite empty and there were no lines or crowd of people. On the way to the city center, the bus passed some quieter and green places of Tallinn – this is one of the best places to see in Tallinn apart from the old town. 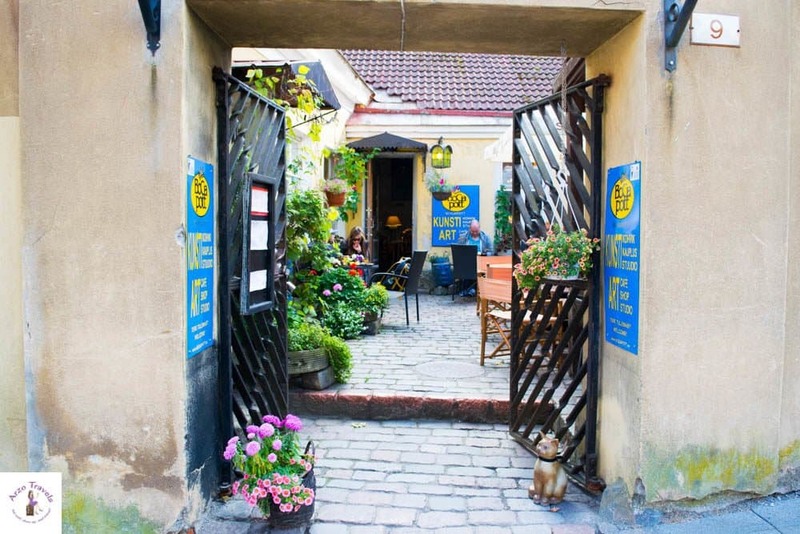 The green lounge surely makes a good place for strolls and if you have more time, you could get out somewhere along the way to explore the green part of Tallinn. If I had had more time, I would have spent an hour or more at the Pirita Promenade. A place I would surely have enjoyed, because of nice views of the city skyline and the proximity to the water. 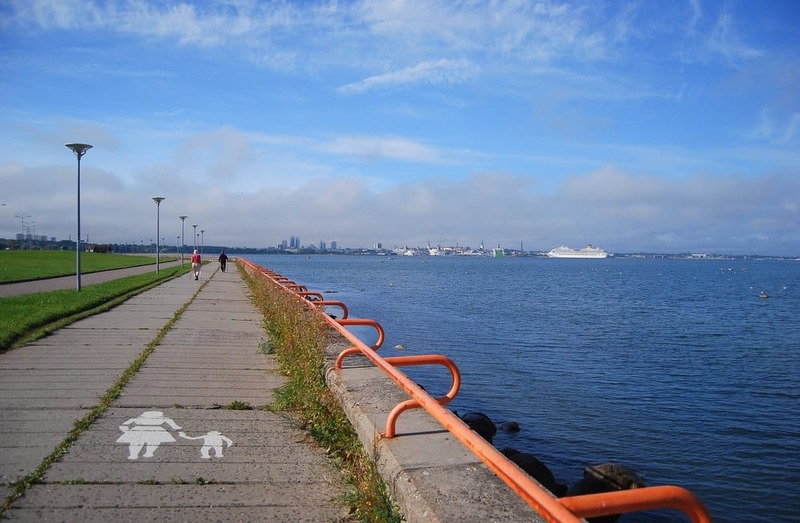 It is a 2 km paved pathway, great for walking, cycling or skating – if you walk from Pirita to the city center you´ll enjoy the beautiful Tallinn skyline. I definitely spent too little time here – but it is also another great free activity to do in Tallinn – and on sunny days a fun thing! 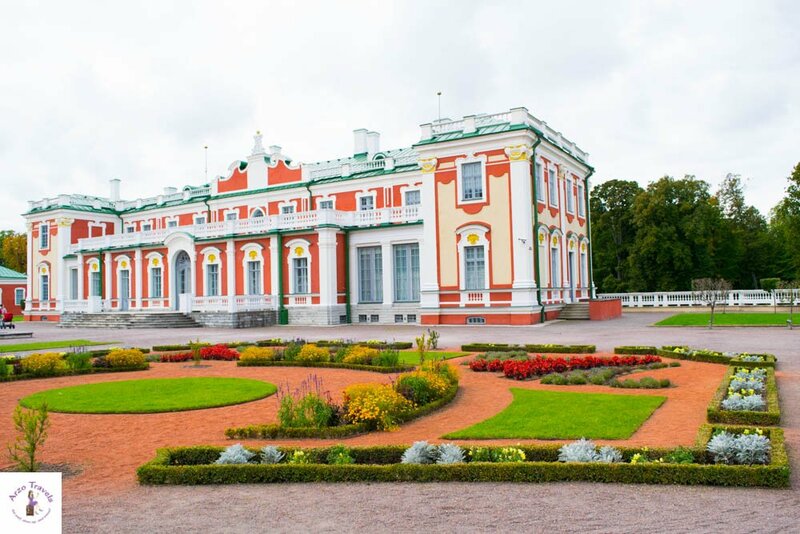 Before I actually visited the TV Tower, I had stopped at Kadriorg Palace – one of the most beautiful sights in Tallinn. It is a colorful baroque palace, built in the 18.th century, and definitely worth a visit. There is also a museum but I did not visit it and just admired from the outside. With the Tallinn Card, you can visit the museum for free. You can also book an art tour to see more of the Palace. Before you know it your two days in Tallinn are over – though you could probably squeeze in a bit more, this is my 2 days itinerary for Tallinn if you do not want to stress out. I hope you enjoy Tallinn as much as I did and get the see the best places of Tallinn in a weekend. In case you stay longer in Helsinki, plan in one day trip to Helsinki. 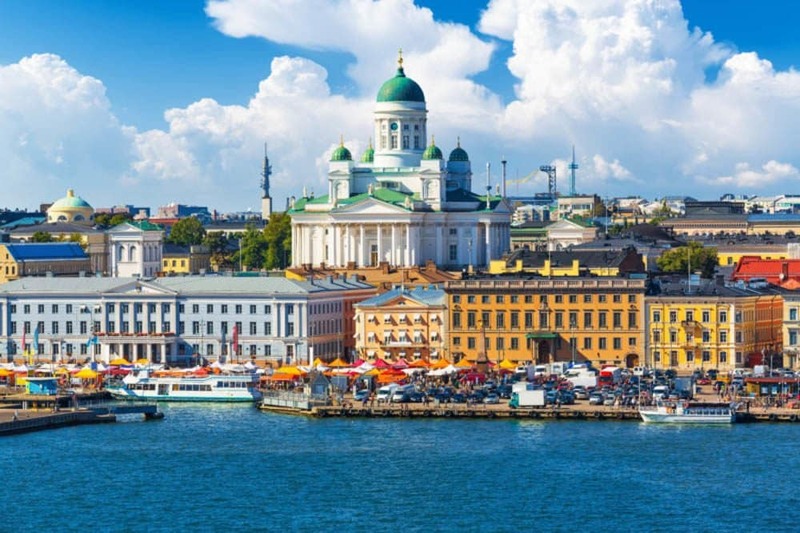 Extra Tip: If you are interested in visiting Helsinki but do not want to stay overnight (accommodation in Tallinn is also cheaper), you can book a day trip from Tallinn to Helsinki. 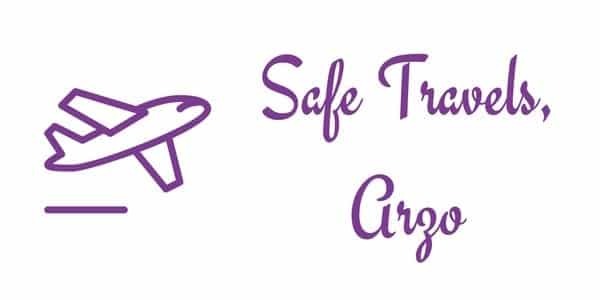 Lately, I am using GetYourGuide to book my tours online and I truly recommend them (they have tons of tours in Europe, send out reminders before the trip and you can cancel most of the tours for free in case you have changed your mind). 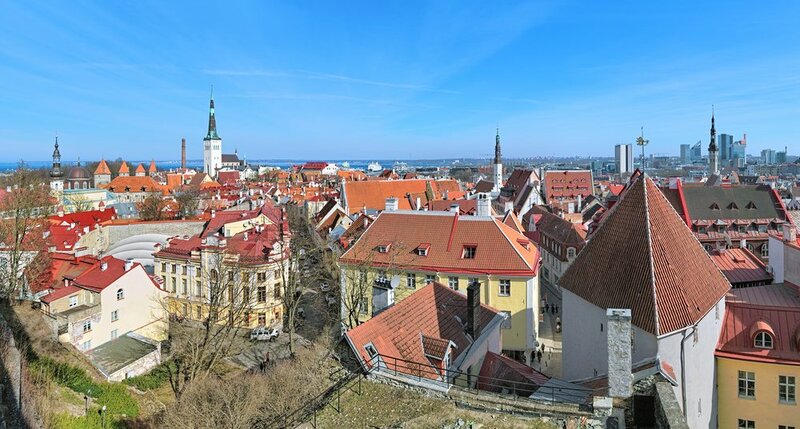 Click on the images below to find your perfect tour in Tallinn. Click here to find tours in Tallinn. Disclaimer: Visit Tallinn provided me with a Tallinn card. But, as always, opinions, are my own. This post contains affiliate links which means I might earn a commission when you buy a product/service (no extra cost to you). More about it here.